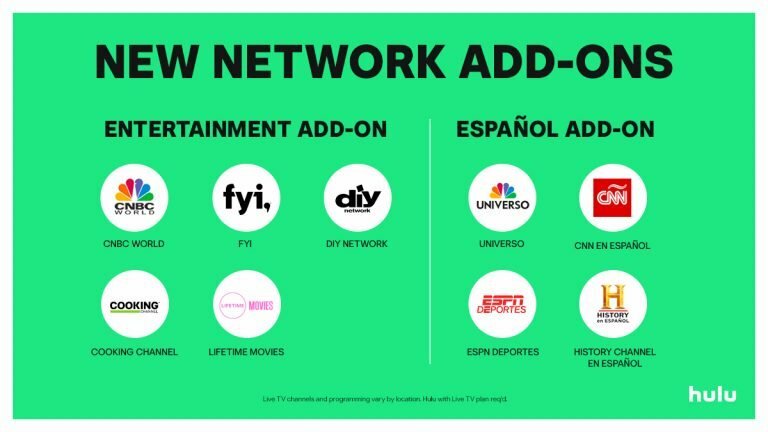 Hulu is introducing two new packages that Hulu with Live TV customers can add onto their subscriptions: Español and Entertainment. The partially Disney-owned streaming service also plans to bring Discovery content to these packages later this year. 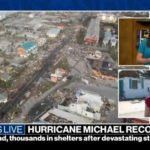 Hulu’s new Español add-on offers live programming from top Spanish-language news and sports networks including ESPN Deportes, NBC Universo, CNN En Español and History Channel En Español. This add-on costs an extra $4.99 a month. The new Entertainment add-on costs and an additional $7.99 a month. 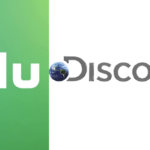 Later this year, when Discovery Networks join Hulu with Live TV, channels such as Discovery en Español, Discovery Familia, Discovery Family, Science and Destination America will also become available through the Español and Entertainment add-ons. These two add-ons join a Hulu with Live TV line-up that includes live and on-demand programming from more than 50 popular sports, news, entertainment and kids’ channels such as CNN, Fox News, ESPN, TBS and local ABC, CBS, Fox and NBC channels in many cities — plus access to Hulu’s entire premium streaming library. For more information about Hulu with Live TV and its available add-ons, please visit hulu.com/Live-tv.